Hector Roa Jr. started his professional career at the age of 17 in 2012 and he's continuing it in 2015. To The Albany Times-Union in June 2015, Roa explained why he got into the game in the first place. "I love this sport, and I don't know where I'd be without my father," Roa Jr. told The Times-Union. "I want to be just like him." Hector Roa Sr. had his own long professional career. He played well over a decade, making multiple stops in the Braves system, Mexico, independent ball and in Taiwan. Throughout that long career, though, Roa Sr. never made a stop in the majors. 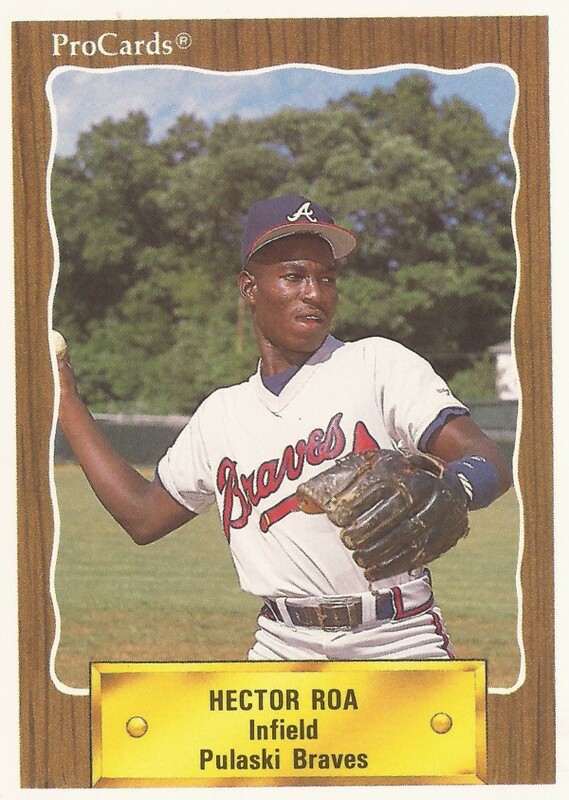 The father's career began in 1990, signed by the Braves as a free agent out of his native Dominican Republic. Roa started with the Braves at three levels, rookie Pulaski, inthe rookie Gulf Coast League and at single-A Sumter. He hit .269 between them, going 1 for 3 in an August game with Sumter. Roa played 1991 between single-A Macon and high-A Miami. His 1992 season was spent mostly at high-A Durham. He also got two games at AA Greenville. He hit .280 that year. He then spent 1993 completely at Greenville. He hit .246 that year, with six home runs. One of his home runs won a July game late. He was also named that month by The Associated Press as a player to watch at AA. Roa returned to Greenville for 1994. He also returned to Durham. For 1995, he got into 40 games at AAA Richmond, but it was as high as he would get. He played the rest of the 1995 season in Mexico. For 1996, Roa made the big move to Taiwan. He played that year and the next for the Uni-President Lions. He had immediate success, hitting a home run in his first at bat and then later hitting for the cycle. He hit .344 his first year there and .317 his second. He helped the team win the 1996 Taiwan Series. He returned to North America for 1998, playing for independent New Jersey and in Mexico. He then continued in independent ball, playing at Massachusetts, Rio Grande Valley, Yuma and Victoria. He last played in 2003 for Victoria.